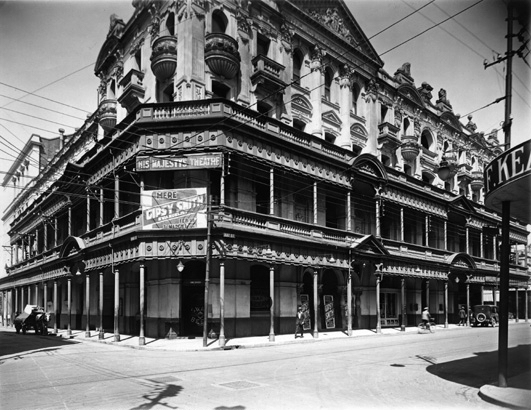 His Majesty’s Theatre (1904) now stands on the spot where the Olde English Fayre ran in 1896. 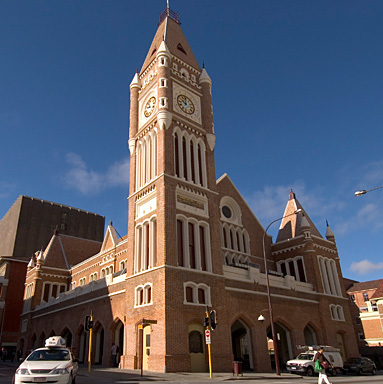 Directly in front of the Legislative Assembly Chambers, at the eastern end of Perth Town Hall. The time is 2 o’clock in the afternoon. 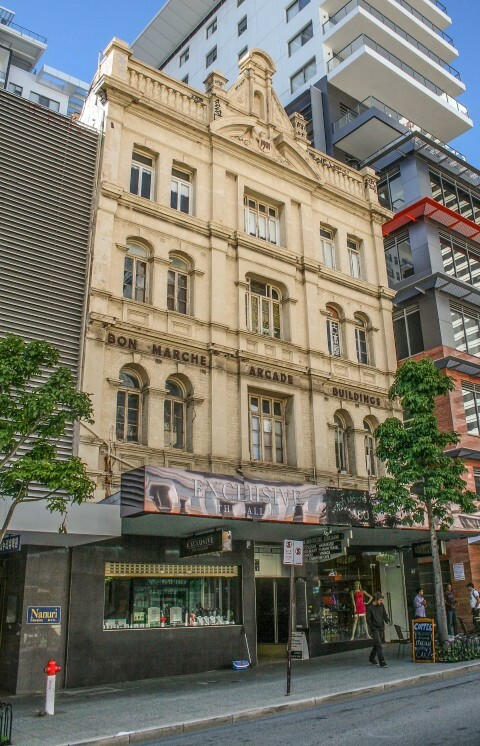 Bon Marché Arcade, where the appearance of two police officers caused Miss Verne and her entourage to cease attacking Mr McBride. The thrashing administered by Miss Priscilla Verne to Mr Gus McBride yesterday was the talk of the town today. 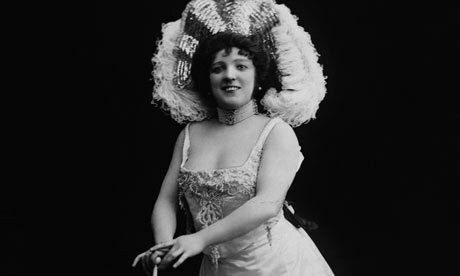 McBride yesterday declared his intention of proceeding against Miss Verne for assault, but now it is believed he has changed his mind, his friends advising him that the best course is to let the matter drop.